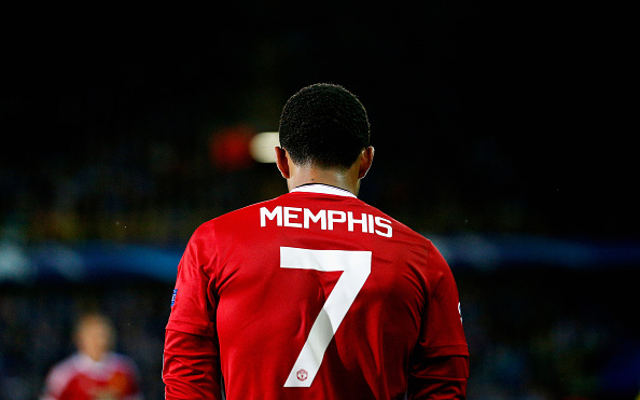 Memphis Depay helped Lyon to a win over Man City in their Champions League clash at the Etihad on Wednesday night, and the former Man Utd man clearly enjoyed it. The French outfit weren’t tipped by many to come away with a positive result against the Premier League champions, but they did just that with a 2-1 win courtesy of goals from Maxwel Cornet and Nabil Fekir. Depay started up front for the visitors and although he wasn’t able to make a decisive impact, he was a threat at times and did hit the post with an effort in the second half which would have ended the contest. 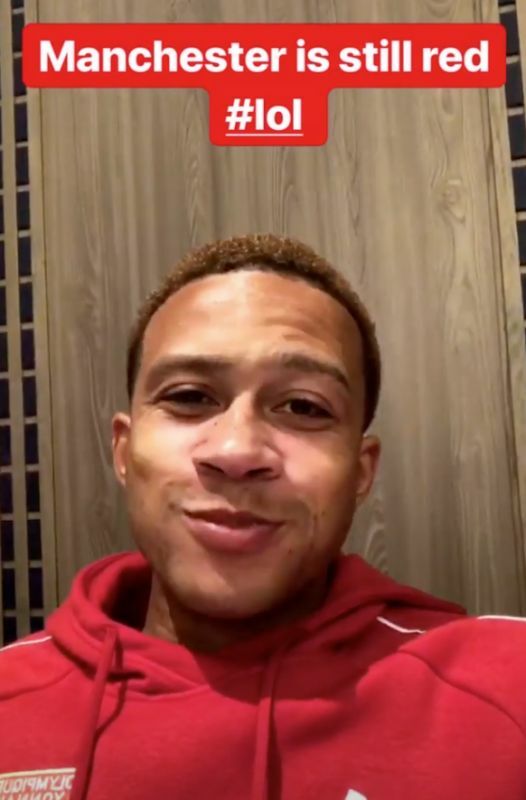 Nevertheless, happy with the win, he took to Instagram stories after the game and posted the video, and caption, below, which will undoubtedly bring a smile to United supporters. The 24-year-old didn’t enjoy the greatest of spells at Old Trafford, scoring just seven goals in 53 appearances across two seasons. However, he clearly still has an affection for the club, enough to rub it in on their bitter rivals. Image courtesy of Memphis Depay on Instagram.